Extreame Savings Item! 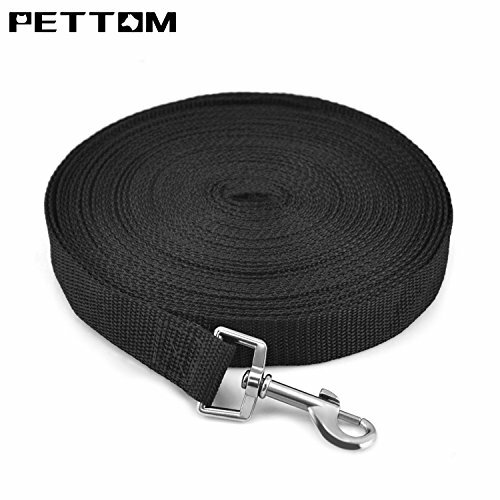 Save 44% on the Pettom Gear Cotton Web Dog Training Leash Lead Black (XL 50 Ft, Black) by Pettom at People For Pets. MPN: Pettom-00022. Hurry! Limited time offer. Offer valid only while supplies last. Pettom cotton web training leads provide extra strength for controlling large dogs. This extra long training lead is designed for distance training. Pettom cotton web training leads provide extra strength for controlling large dogs. This extra long training lead is designed for distance training. Handle the dogs with this sturdy leads. This cotton web dog training leads heavy duty 100-percent cotton web lead is strong enough to control even large dogs. Cotton web raining lead is available in the black color. This lead is guaranteed for life. Measures 6/8-inch width by 30 Ft length. Cotton web training leads provide extra strength for controlling large dogs. Made of heavy duty 100-percent cotton web. If you have any questions about this product by Pettom, contact us by completing and submitting the form below. If you are looking for a specif part number, please include it with your message.